The deadline for registration is October 9. Make sure you can vote! 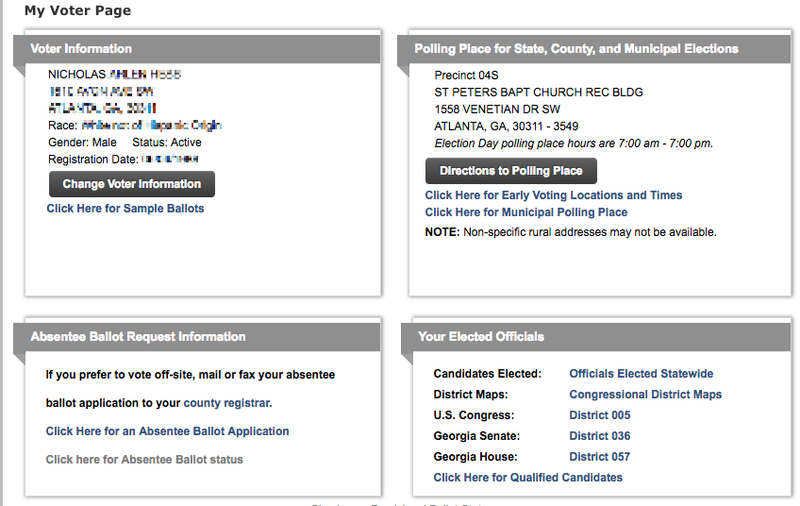 You can check your registration status, find out your voting location, or even register to vote, at https://www.mvp.sos.ga.gov. 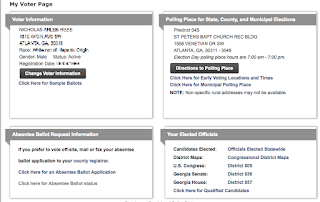 If you don't have access to a printer, voter registration forms can be obtained at the Fulton County Government Center, Fulton County North Service Center, or the Fulton County South Service Center. You may prefer to vote absentee by mail. Voters can vote absentee by mail for any reason and can request a ballot from the Department of Registration and Elections through Friday, November 2, 2018 but must return their ballot by 7:00 p.m. on Election Day. call 404-612-7060 to request an application be mailed to you. Monday, October, 15 to Friday, October 26, 2018 from 8:30 a.m. to 7:00 p.m.
Monday, October, 29 to Friday, November 2 7 a.m. – 7 p.m.
a new State School Superintendent. These are powerful statewide positions. Furthermore, every State Senator and Representative is up for election, as are every US Representative. To find out more about open positions and candidates, we recommend https://votesmart.org/election/2018/G/GA. There are a number of proposed referenda and amendments to the Georgia Constitution. Representative Park Cannon has helpfully supplied an analysis from the House Budget and Research Office, explaining each of the items that will be on the ballot.